Glacier Bay National Park in southeast Alaska is one of the most spectacular national parks in the United States, and one of the premier wildlife watching parks. 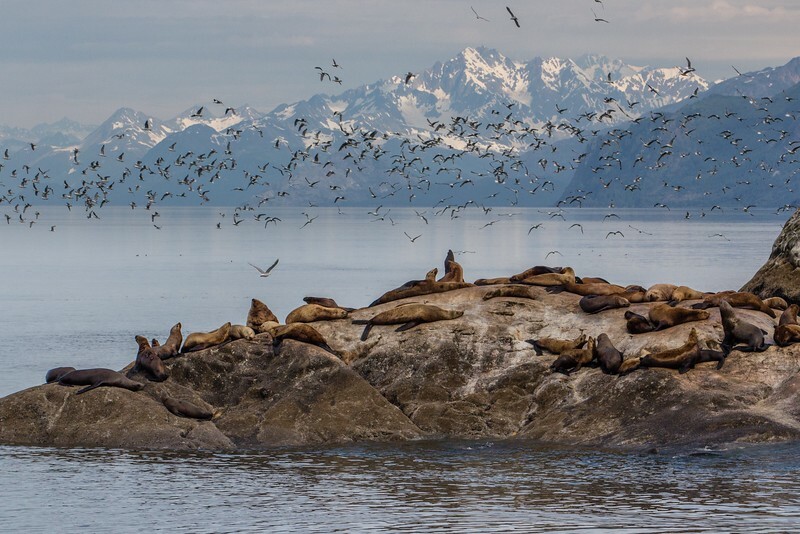 The home of humpback whales, orcas, sea lions, seals, porpoise, bears, moose, wolves and foxes, in addition to hundreds of sea bird species, this national park should be at the top of every travelers list. Seal Lions and Seagulls at the South Marble Island in Glacier Bay National Park.